There are two main ways you can link your Life Coach Office account and your business website. This short article explains both options in enough detail to enable you to set this up on your website in just a few minutes. Add a link to your website navigation called ‘Client Area’ ‘Client Login’ ‘Member Login’ or similar. Or add in links or buttons to any of your web pages that go to your Life Coach Office login page. To get this link click the ‘cog icon’ (top right) and select ‘branding’. 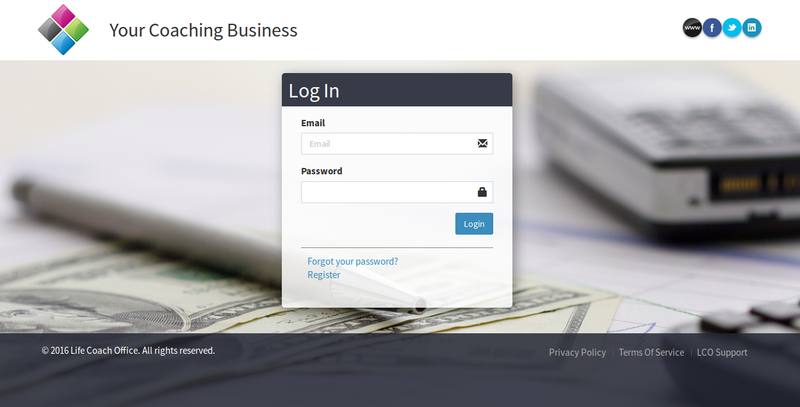 You’ll see your Branded Client Login URL at the bottom of the screen. You can add your logo, business name, background image or color and all or some of your links including to your website, Facebook, Linkedin, Twitter accounts. If you’d like your clients to be able to login to your Life Coach Office site directly from your business website, all you need to do is paste the following HTML code (see below) into the page you want it to display on. For this to work properly, don’t paste into your page’s Visual Editor – that will just display the code as text. 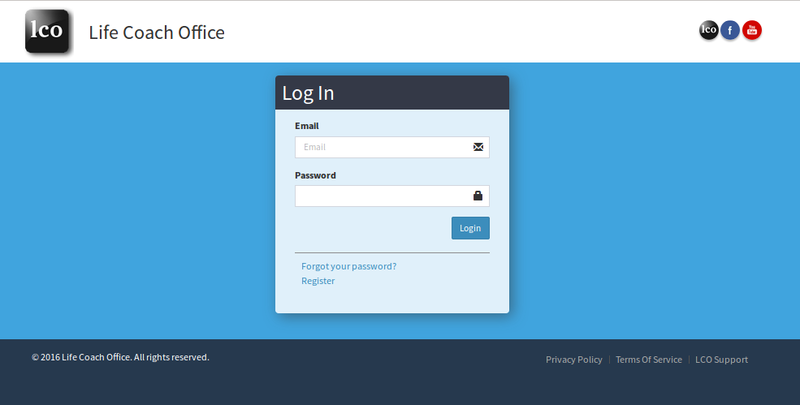 Instead, be sure to use the Text/HTML Editor so your website interprets the code and displays a login box. If you want the log in to display in your right hand column, you can paste the code into a widget (this should make sense to WordPress Users).